High quality formulation promotes tissue growth mięśniowej.Mieszanka high quality whey protein concentrate, whey protein hydrolyzate, micellar casein and soy protein isolate! 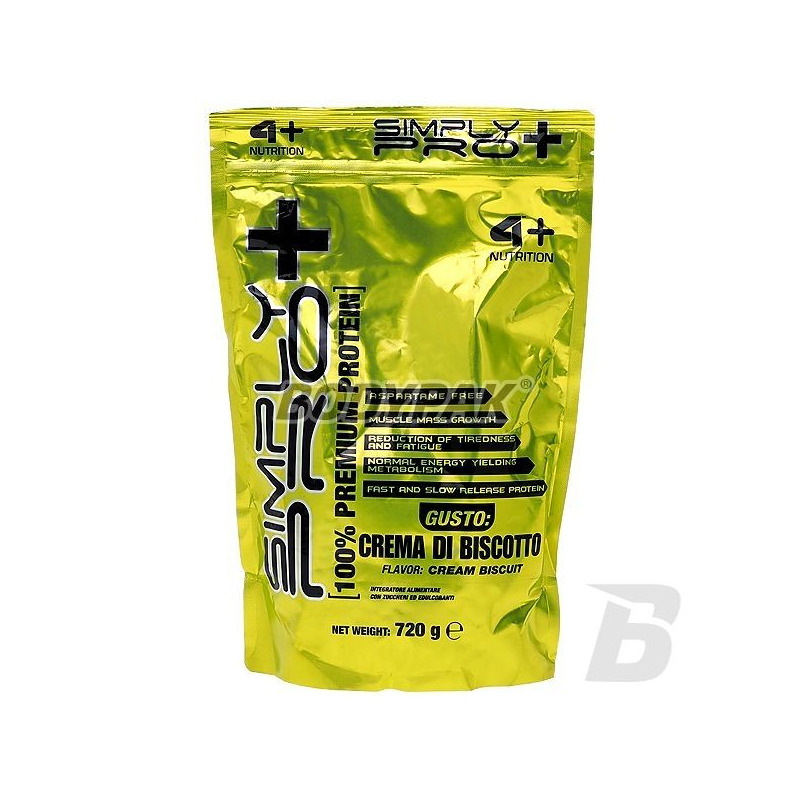 Simply 4 + Pro + is a guarantee of muscle mass, which is a blend of high quality whey protein concentrate, whey protein hydrolyzate, micellar casein and soy protein isolate. This is a very innovative formula with a unique flavor, which ensures the proper delivery of macronutrients. 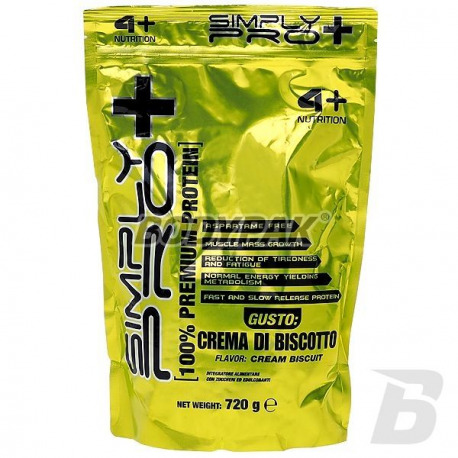 With Simply + Pro easily you will complete all the necessary proteins and carbohydrates that are necessary for the increase in body weight. Excellent product, so that speed up its regenerative processes, as well as avoid the risk of catabolism. Whey protein in the product is definitely the best invented a building block, which is not characterized by any negative traits. This basic choice every bodybuilder and athlete who wishes to increase endurance, strength, and volume of their muscles. Ingredients: Whey protein, micellar casein, hydrolyzed whey protein, soy protein isolate, cocoa powder (la chocolate and peanut flavor), a piece of cookies (wheat flour, sugar, eggs, butter, cocoa powder) - only cookie flavor Fructose, sucrose, vitamin B6 (pyridoxine hydrochloride), vitamin B2 (riboflavin), vitamin B1 (thiamine hydrochloride). Miks różnych białek - świetna opcja. Smakowo całkiem ok, rozpuszczalność też nie przysparza problemów. The highest quality micellar casein, which effectively protects your body from catabolism night and ensure a steady supply of building blocks for your muscles! Interesting taste and good solubility!